I have been sharing some of our summer learning fun with you. 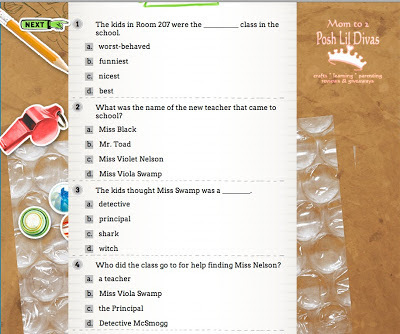 The Lil Divas are really enjoying their summer writing journal prompts and we have even tackled their summer reading. 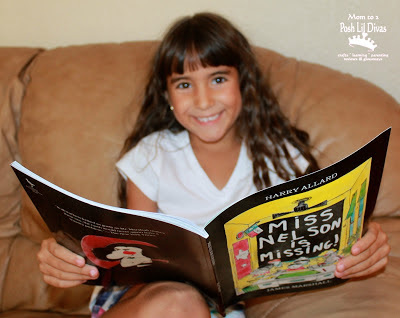 I recently shared with you that I was chosen to be a cwist blog ambassador. As part of the program I must be upfront and disclose that I have received paid compensation (for placement of digital advertisements and sharing our personal cwist experiences) but the genuine excitement for the program is mine - all mine. 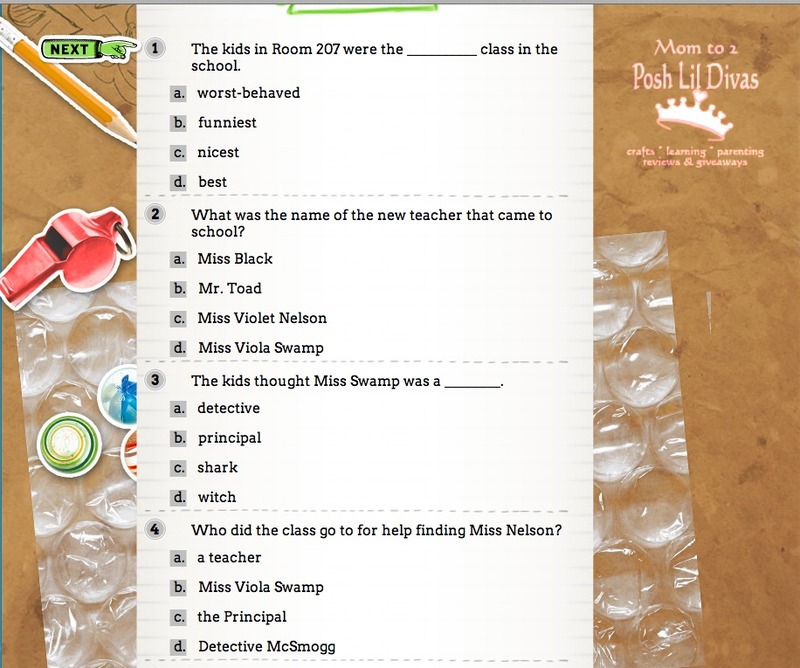 Hands down it's just an awesome site for kids and such a wonderful tool for us parents and teachers. My girls are little techies so what cwist has to offer is perfect for them. It gives them a bit of digital time while involving them in real world activities and experiences - you just can't beat that. 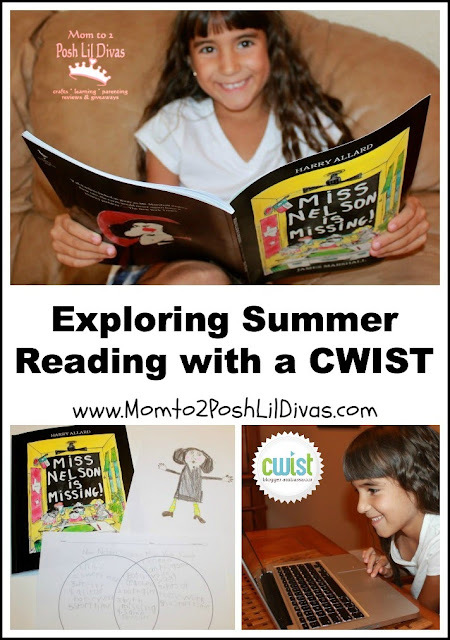 In my last post, I shared how I would be utilizing cwists to motivate and encourage summer learning. 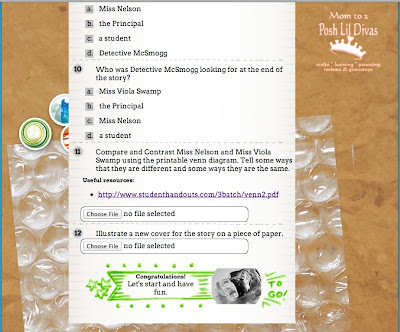 Today, I am excited to share the cwist I created for the Youngest Diva's summer reading book - Miss Nelson is Missing. 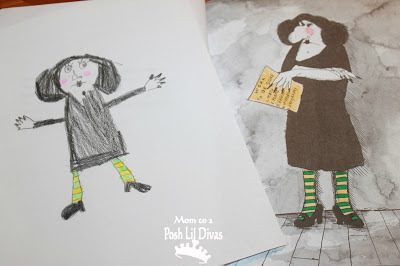 This year the Lil Divas did not have any activities to complete for their summer reading books. 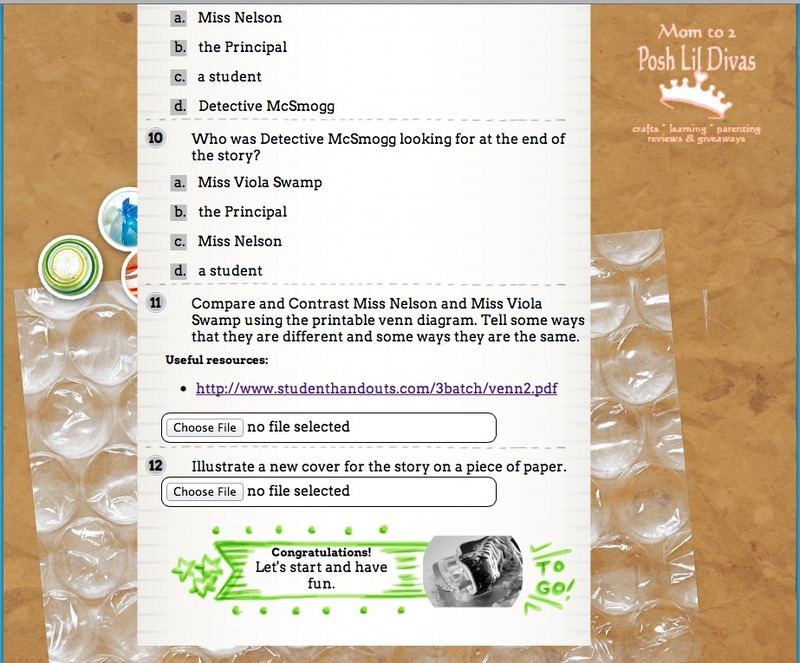 I like to extend our books with activities to ensure and check comprehension so I decided to make my own activities utilizing the cwist site. and the illustration of a new book cover for the book. The Youngest Diva enjoyed the book and the extension activities. She really liked getting on my laptop to answer the questions on the cwist site and asked for more. 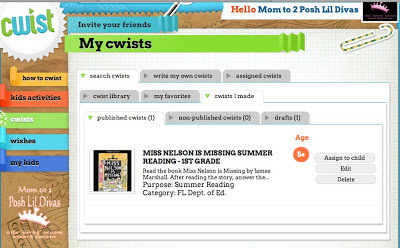 This mama will surely be making more book activities for her on cwist. Thankfully, it is super easy to set-up! Seriously, it took me just a few minutes. Cwists can be as simple or as complicated as you want. Since you are the creator, you get to make all the decisions. Which means you can tailor them to suit your child's interests or even those of your students. 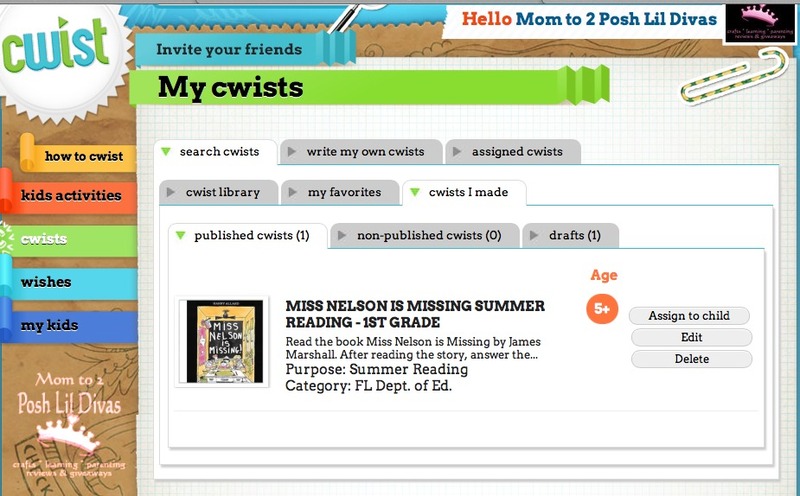 As a teacher, I know cwist would be an awesome tool to utilize in the classroom. You can keep your cwists private or share them with the public (I shared mine!) so others can use them as well. They have an amazing library of cwists with more being added daily. Topics include - community, creating, exercise & sports, family, learning, physical activities and now summer reading. 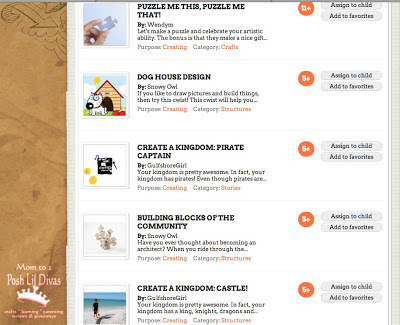 There is so much to do and learn with on cwist. You have to try it! Cwist is currently offering email registrations. Just visit the cwist site and click "request invitation" at the top of the screen to access all the great cwists on the site. You can also follow cwist on Facebook, Twitter and Pinterest. Disclosure: I am a cwist Blog Ambassador. I am receiving compensation for testing the site with my own children and sharing our experience with you. All opinions are 100% mine and honest. Your opinions and experience may differ. 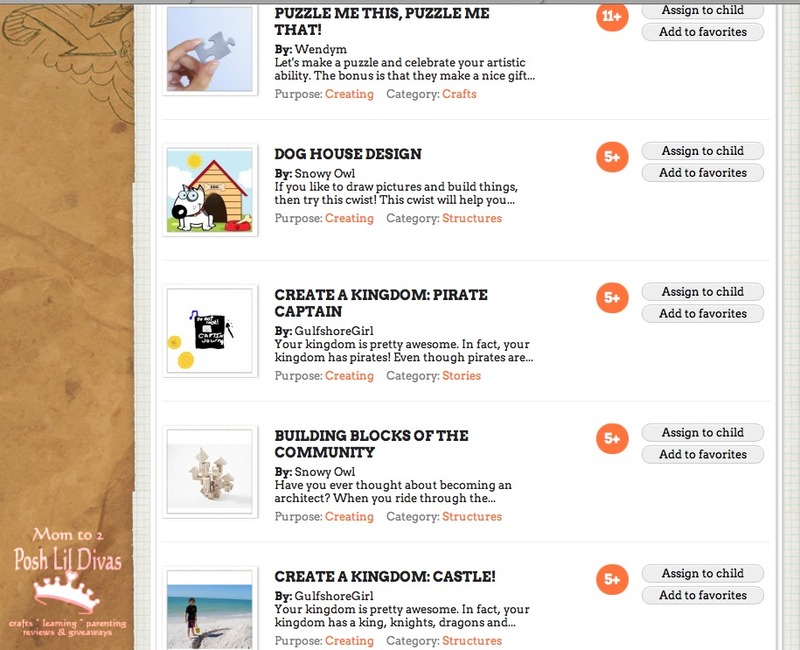 This site sounds like a cool resource! What a great resource! I'm going to have to give it a try soon! This sounds like an awesome resource! Sounds likea great resource! Is there a cost for membership? Also, I can't just join, I need an invite . . . are you giving invites? Lynn, yes I have some invited left to share - send me your email address! This sounds absolutely *amazing*! I'm off to check them out now. Thanks so much for sharing!